In the face of uncertainty over prices in the oil sector triggered by OPEC’s announcement of maintaining production targets, Exxon Mobil Corporation (NYSE:XOM) expressed confidence in being able to withstand the volatility even if prices plunged to as low as $40 per barrel. During his interview with CNBC, CEO of this oil-and-natural gas giant, Rex Tillerson said that given the vastness of the projects which his company indulged in like liquefied natural gas, deepwater drilling and so on, investments were expected to last over at least ten years. Given the time-frame, it is but natural for prices to fluctuate and volatility to make its mark and hence need to be accepted as a part of the package. 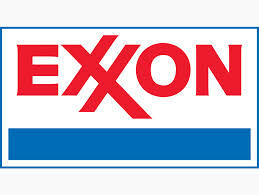 Its confidence notwithstanding, Exxon Mobil Corporation (NYSE:XOM) has been recommended by ‘The Street’ as a ‘buy’ owing to several reasons, primary amongst them being the company’s strong position as also its series of investment measures which have been labeled as being positive. The good news arrived in the wake of the energy sector having been downgraded by an analyst firm from ‘overweight’ to ‘marketweight’ owing to reduction in the demand for oil courtesy of slowing down of economic growth. Given the scenario wherein price per barrel could touch $70 in 2015, Exxon Mobil Corporation (NYSE:XOM)’s confidence coupled with a good rating is definitely worthy of an applause. Rush Enterprises, Inc. (RUSHB), Exxon Mobil Corporation (XOM), Apple Inc. (AAPL): Top 3 Stock Holdings of Cullen/Frost Bankers, Inc.